Hi, Good morning. Thank you friends and viewers. Today I will post how to make nankhatai recipe. 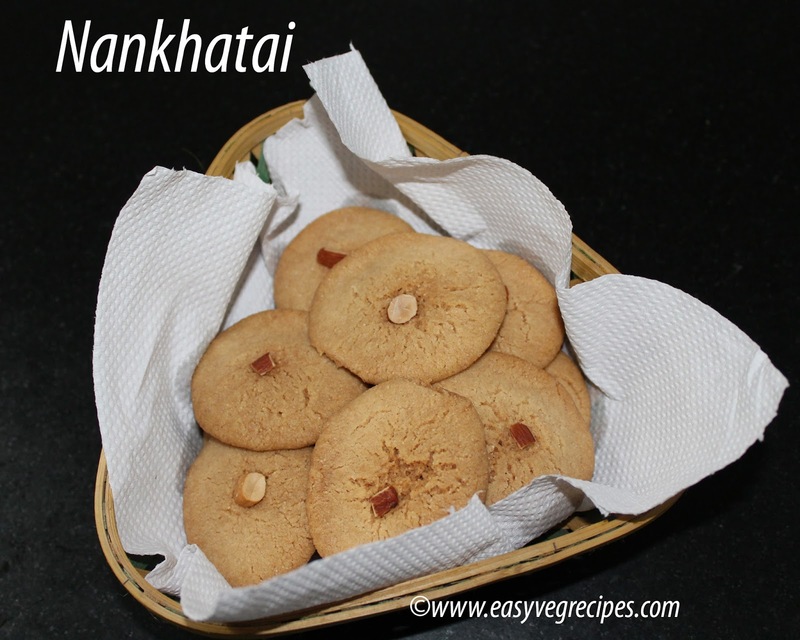 Nankhatai is an Indian eggless cookies. They are crispy and soft. They served as teatime snacks also. In my childhood days it was a big event in summer holidays when all cousins gather at my grand-mother's place. These were given as evening snacks to all the kids and we can have as many as nankhatais and whenever we want we can have them. Making them is very easy and simple. We used to call them as bakery biscuits or simply home made biscuits. Those were the days we do not have oven at home. So, they were made in cooker. But I don't know how they used to made them in cooker, as I never tried. I started making them only after I bought my oven. simple two minute video will help you easily understand the process. Nankhatai -- Indian eggless cookies. Preheat the oven at 360 degrees Farenheit or 180 degrees centigrade. In a mixing bowl beat butter and powdered sugar. Mix it well till smooth and soft. Sieve maida, sooji, salt, and baking soda into the butter mixture. Mix it well and make smooth dough. Take small portion of the dough and place it on baking tray. Keep a distance of 2 to 4 inches between each cookie. Bake them in the oven for 10 to 15 minutes at 180 degrees centigrade. It varies from one oven to another, so while baking we need to check timing. I bake them for less than 10 minutes. Serve nankhatai with evening tea. Thank you for visiting my blog. Hope you liked all my recipes. Any feedback and comments are appreciated. For more baking recipes click here.